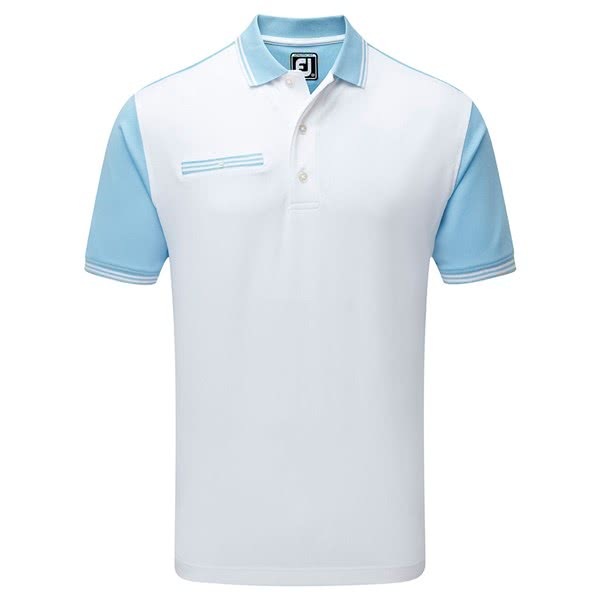 The FootJoy Mens Stretch Pique Front Colour Block Polo Shirt delivers incredible levels of comfort, mobility and an abundance of style. 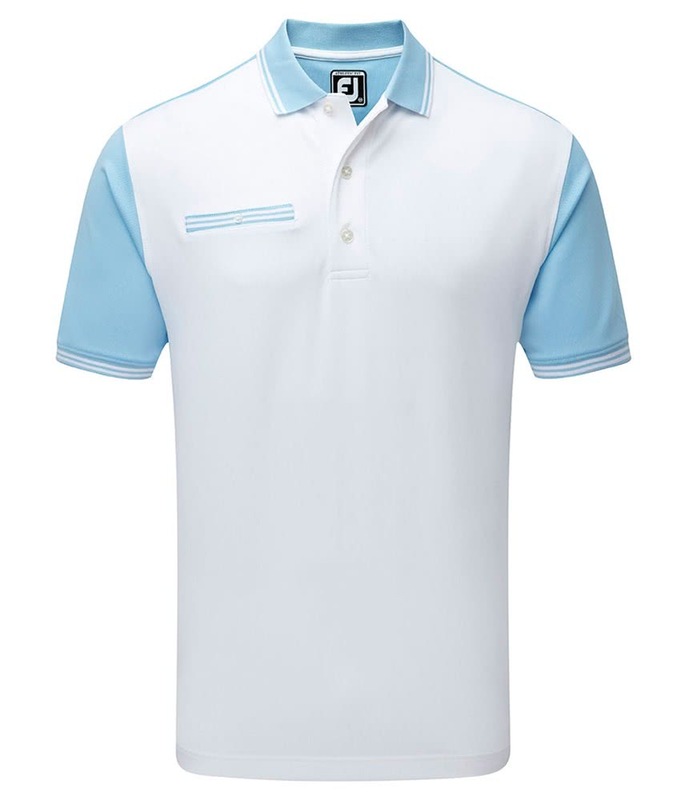 Wearing any of the four colours available in this polo shirt you are all but guaranteed to be the best dressed golfer in your group! FootJoy have used a stretch pique fabric to provide exceptional levels of comfort whilst offering maximum mobility. To provide the ultimate on course performance the fabric is highly breathable and will keep your core temperature constant.